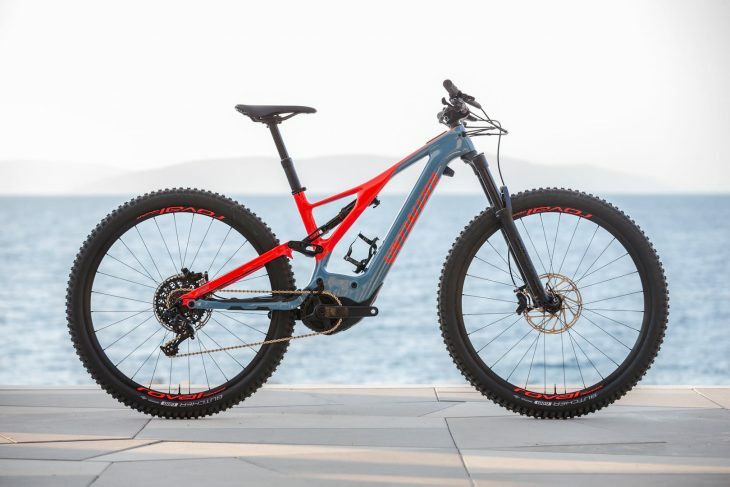 The new Turbo Levo has been extensively redesigned, with manufacturers Specialized saying it has more in common with the Stumpjumper than its e-bike namesake. Tom Johnstone took to the trails of Croatia to find out whether the ride would live up to this billing. 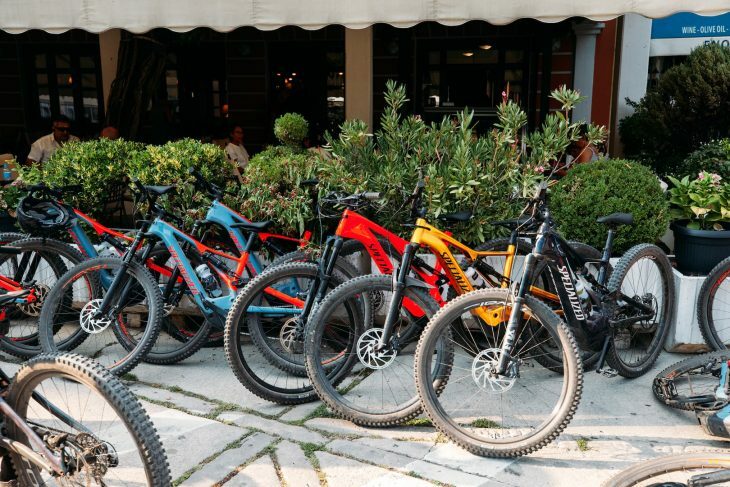 I’ve been riding an e-bike all season and so when Specialized invited me out to Croatia to spend a couple of days riding their new Turbo Levo I leapt at the chance. 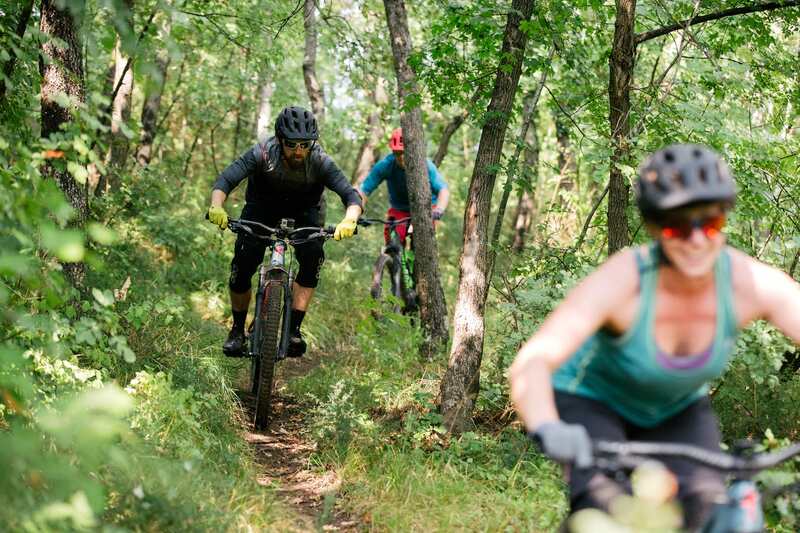 A visit to the sweet singletrack and brutal climbs that surrounds Rabac, and the opportunity to see what Specialized had managed to squeeze into their newest offering – who would say no? The similarity to the Stumpy is obvious. Butcher GRID 29×2.6 tyres and equipped with the new Brose Specialized 2.1 custom Rx trail-tuned (250W nominal) motor coupled with the new Turbo M2-700 battery. 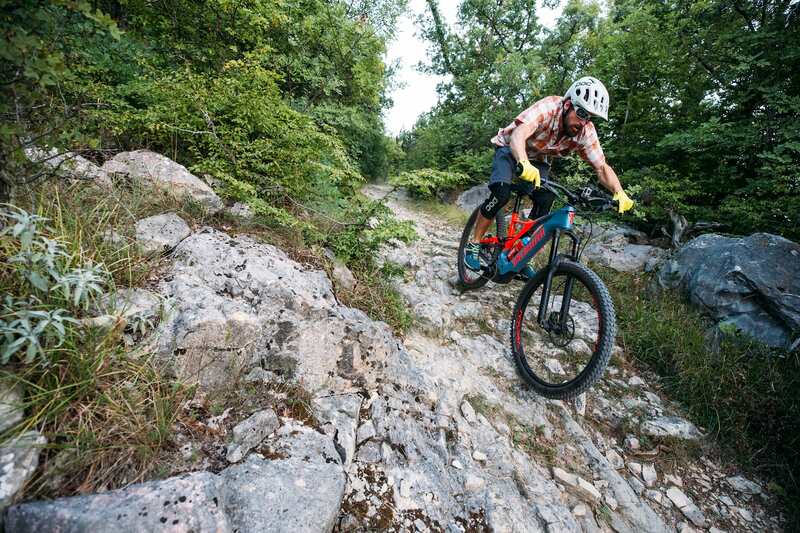 We got a thorough introduction to the bike and all the work that has gone into making this e-bike something different, so after giving the suspension a tweak and heeding the warnings of the local riders that we’d want a bit more pressure in the tyres (due to all the limestone out there), we hit the trail. 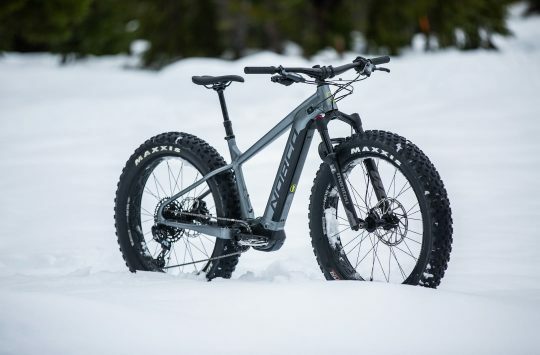 The new Levo shares a lot of its DNA with the Stumpy and you can tell – despite the extra weight of the battery and motor it’s perfectly balanced meaning the bike is stable, predictable and agile enough to be wheelied or manualled. It’s instantly comfortable and familiar straight out of the box. Within minutes of getting on the bike I was popping off trail features, railing corners and whipping off tree root lips so it’s clear they’ve got the geometry dialled but given the time, effort and money Specialized have put into this bike that’s no surprise right? What took a little longer to get a feel for was the motor and the power. I’ve been on an e-bike almost full time this season and so am pretty familiar with how they ride, and the new Levo really was not behaving how I expected it to. Sure the eco and trail modes were smooth and gently assisting, but as soon as you stepped up to turbo it just felt like something was missing, there was none of that powerful thrust that so many e-bikes have in turbo/boost mode. Initially I missed it, struggling to get up the really steep stuff, but after a few hours I realised what I had was all the power just being delivered with far more grace and finesse. 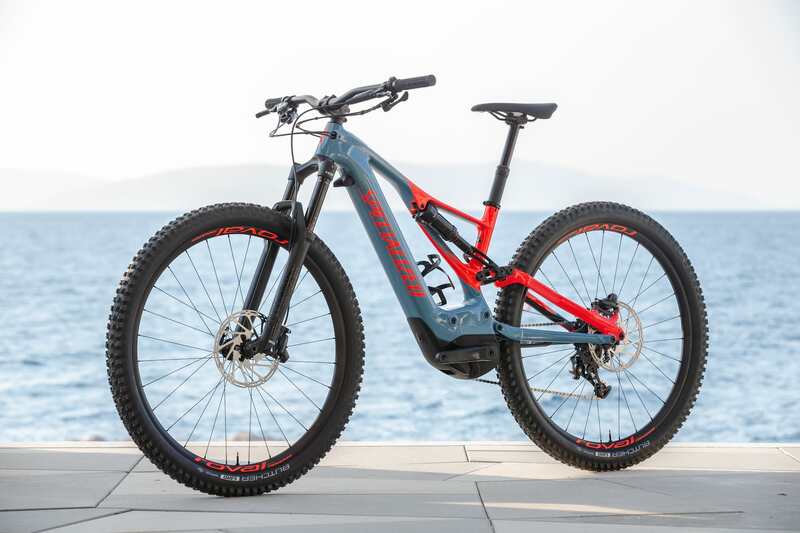 The Levo gives you just as much power as any other e-bike I’ve ridden but there’s none of that hooligan ejector seat thrust when climbing super steep and techy trails. Once you get used to how smoothly and progressively the Brose motor sends you on your merry way and how the huge 700Wh battery seems to power you on forever, you quickly find yourself cleaning even the techiest of climbs, railing the bike through uphill switchback corners, riding up flights of cobbled stairs and whooping and hollering your way up tree roots and loose rocky horror shows. 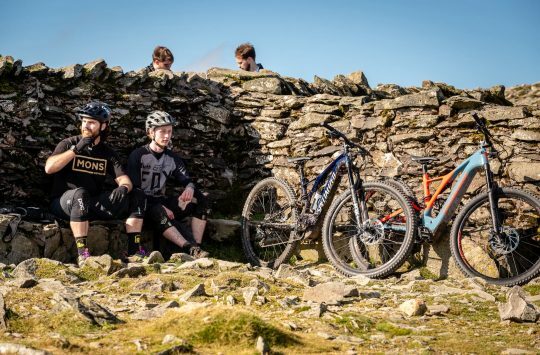 Point the bike downhill and you forget you’re on an e-bike with it’s dialled geometry and light weight making a bike that is responsive, flickable and agile, while feeling solidly planted through the rough stuff. Despite using Turbo mode for every climb and pushing the bike as hard as I could, I only managed to burn through 40% of the battery on day one and 60% on day two. I’m yet to test it on known home trails, but am confident the Turbo Levo expert would deliver 70-80km of real big mountain/wildernesss singletrack riding. Two days of riding. Lucky Tom. Hands up who wants the gold one. The bike I rode had a few niggles I wasn’t so keen on. The Command Post has set heights which if you’re used to infinite choice on your dropper may grate until you get used to it. It also has no really usable speed adjust so the seat fires back up at an eye watering speed when you forget to move your nether regions out of its way in time. The tyres were difficult to get the right balance of grip vs rim protection. I found they let the bike track sideways across the trail unnervingly if pumped up too hard but not supplying enough protection for the rims if I dropped the pressure. They were set up tubeless and giving them 50km to ride them in made some improvements although I’d still fit Huck Norris straight away (as I do with all my bikes) to allow the bike to be set up with a pressure appropriate for the trail without jeopardising the rims. The Pike fork on my bike wasn’t well set up. I’m normally a real fan of them, but on this bike the rear end worked so well the under performing Pike really stood out. Lastly the saddle is a bit marmite being quite flat – I loved it but I heard enough grumblings from other riders to know it wasn’t a hit on all fronts. Not a lot not to like about this. The new Turbo Levo is a giant leap forward from the first generation, the difference in weight and range alone should grab your eye, but the real stand out characteristics to me were how playful it was on the flat and down hills, and how on the climbs it increases your power output in such a manageable and natural manner that is unlike much of the competition. 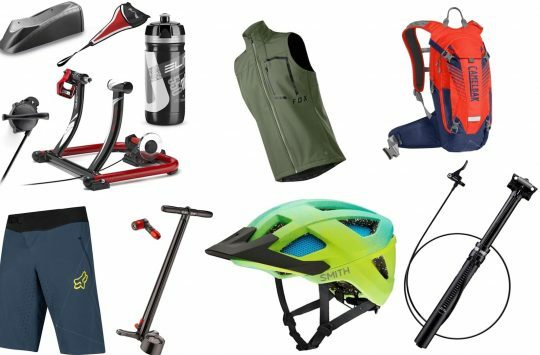 Specialized say ‘it’s you, only faster’ and sickeningly their marketing department have got it so right I feel like a sell out for agreeing with them so wholeheartedly. Tom’s travel and accommodation was paid for by Specialized. Typo in the specs; “shcok”. Unless that’s a message to the haters. over a farmers gate or stye. 18-20kg? Are you leaving the wheels at home? Yeah, as another dabbler in ‘over the gate’ exploring (…ahem), I’d also be interested in the weight. My pals Mk1 Levo is a proper big boat anchor if you have to lift it over anything.